This flower is 2 to 3 feet tall. A somewhat hairy stalk bears yellowish-green, bell-shaped, drooping flowers. There are usually 4 to 5 flowers on each branch. The flowers are up to 1/4". 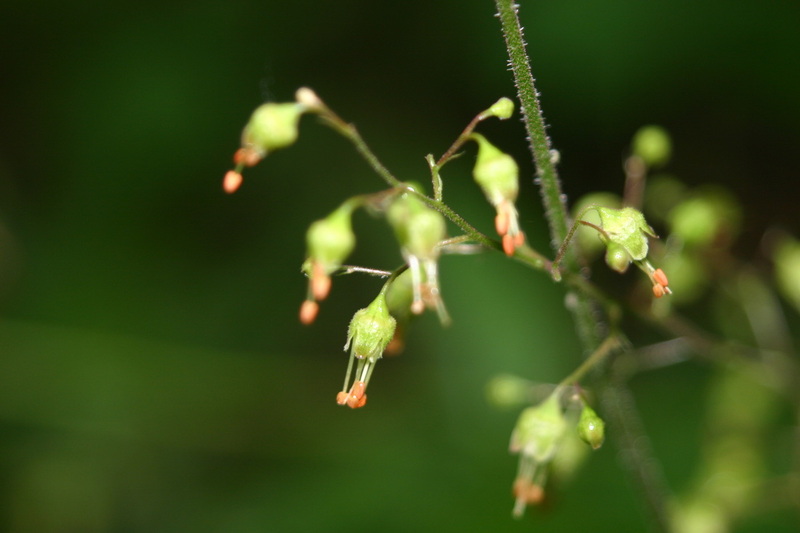 The calyx is 5-lobed, there are 5 petals, and 5 projecting stamens with orange anthers. 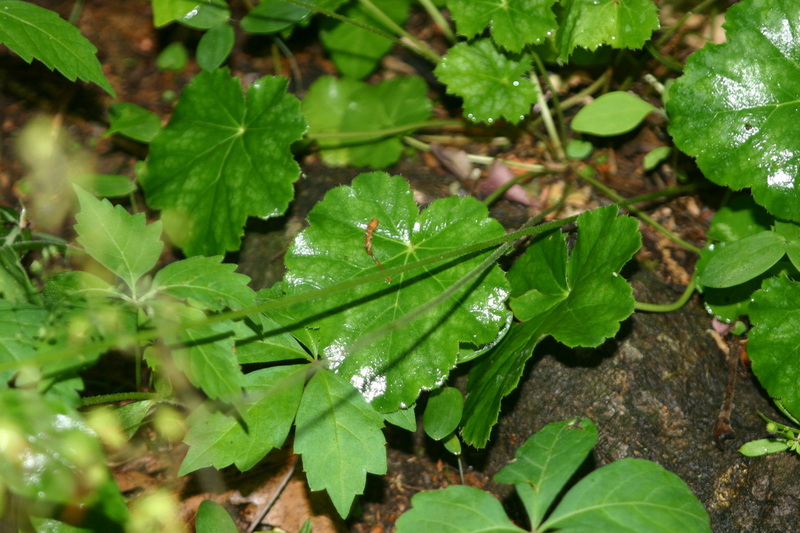 The leaves are 3 to 4 inches wide, round lobed, and glabrous with a cordate base. The seeds are dark red. This flower is found in woods, shaded slopes, and rock crevices. It flowers from April to June.